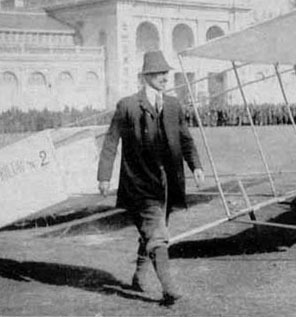 Yves Le Prieur in Japan, 1909. Yves Le Prieur was a French naval lieutenant who invented a small solid-fueled rocket designed to be fired from French or British biplanes against German captive observation balloons. La Prier rockets were used in France in World War I.